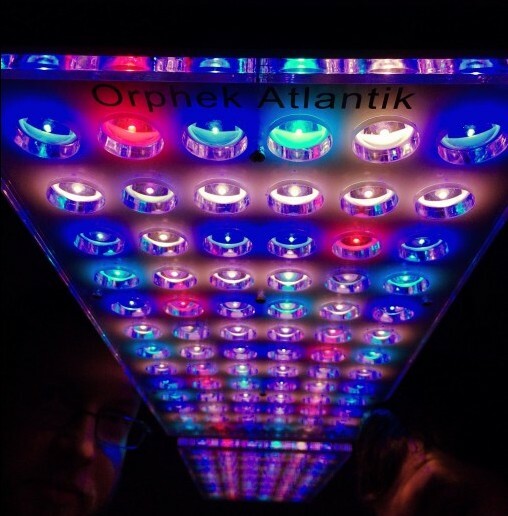 AquamedicUSAlive joins the Orphek family; switches SPS system to Orphek Atlantik v2.1B Dual chip. 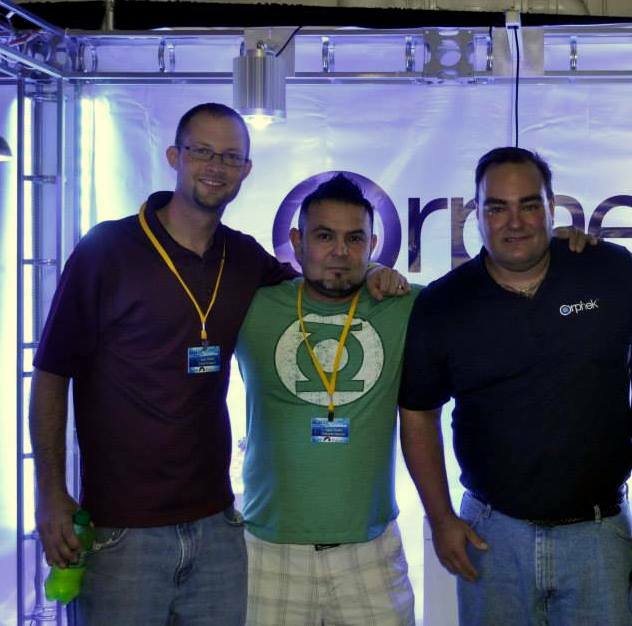 When Orlando, Chad and Angelo decided to upgrade the lighting on their SPS table at Aqua Medic USA Live they knew they didn’t have to look any further than Orphek. 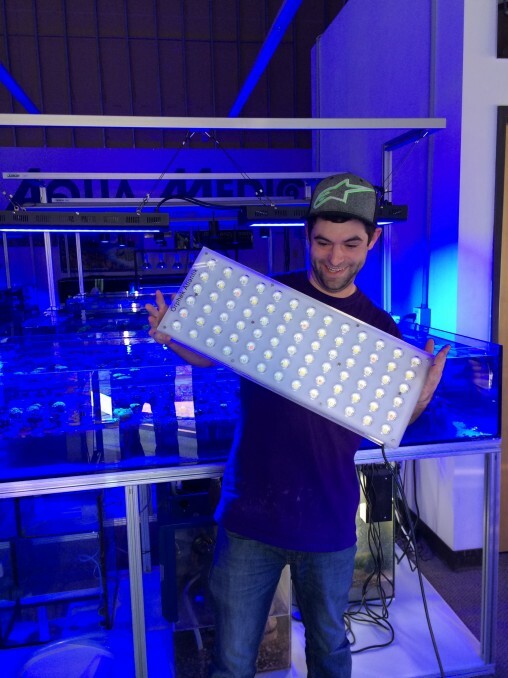 They’ve been fans of the Orphek Atlantik series of lights for a while and with the importance of healthy thriving corals to their wholesale only livestock business it was essential that they get the best spectrum and an intense light that is engineered to support SPS colonies. The 6 foot table is lit by 2 units of Atlantik v2.1B wifi. The Dual chip LEDs offer higher lumens than the standard single chip models without consuming additional energy. 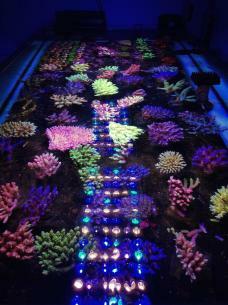 The wifi control allows them to program the light for their business schedule and still be able to quickly adjust lighting for client or to make Angelo’s job of photographing corals easier. 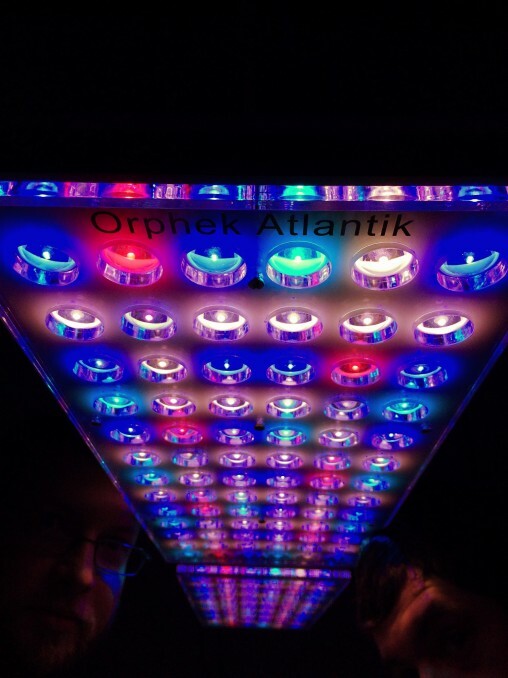 Setup was a breeze and they were amazed by how much brighter the Atlantiks were than all their existing lighting. Looks like they might need to upgrade some of the other tables soon. If you are not familiar with the Aqua Medic USA Live team then be sure to check out their website and like their page on facebook. 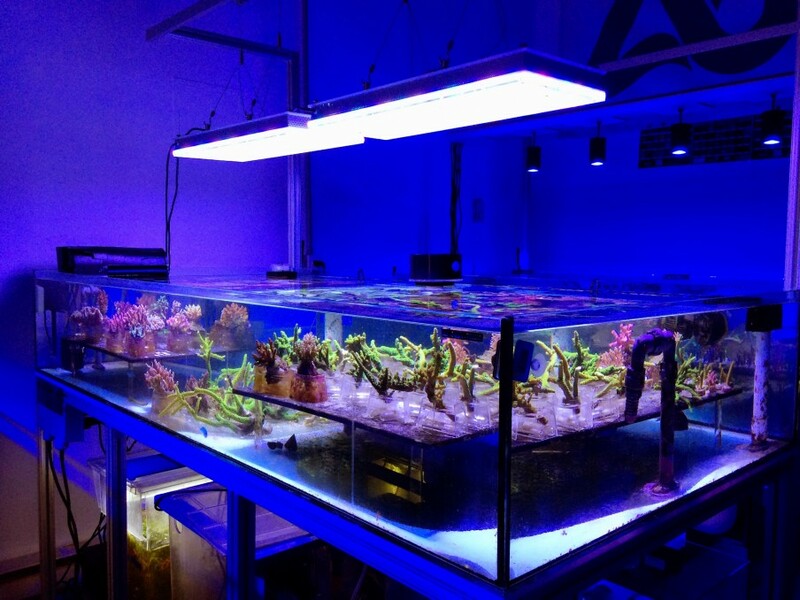 While they only sell to stores with wholesale accounts you can always get the information to your local fish store and encourage them to get some of their awesome corals in.